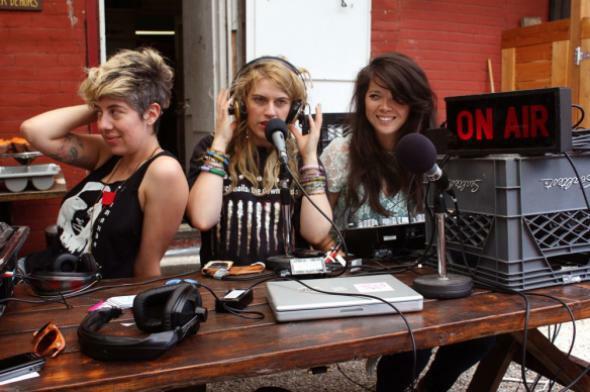 The last CKUT remote at Depanneur Le Pick Up, featuring the ladies of VENUS! You’re all aware that POP Montreal is nearly upon us and we’re teaming up with them in a big way right now. We promise not to inundate you with information. There’s plenty happening at POP this week, but we thought we’d highlight the stuff CKUT is involved with. Plus, we kept it real organized. Visit the CKUT Music Blog for the full rundown. CKUT will be broadcasting live from Depanneur Le Pick Up next Wednesday, September 19th from approximately 11AM-3PM. The broadcast will feature Venus DJs, Lynne T, Malcolm aka The World Provider, lots o› Queer POP DJs. Gen Heistek will also join the crew to give listeners the skip on Kids POP! IT ISN’T ALL POP THOUGH - there’s loads of other stuff going on around town. Check out the Music Department’s latest show recommendations here.